Many users have complained about an error with message saying No Audio Output Device Is Installed on their windows 10 PC. Here is an Easy fix for the problem which works for sure. 1. Press Windows Key + R together. 2. In the RUN command Box write devmgmt.mcs and Press Enter. 3. Once the Device manager Opens Up, just Locate Sound Video and Game Controller. 4. Double Click On it to Expand. 5. Now, Right click and Uninstall One By one, The drivers Present There. 6. After that Reboot your PC. 7. Again Press Windows Key + r together and Write devmgmt.mcs in it and Click OK to Open Device manager. 8. Now, Since your Windows 10 Have automatically Reinstalled the Drivers, its time to Update them Online. 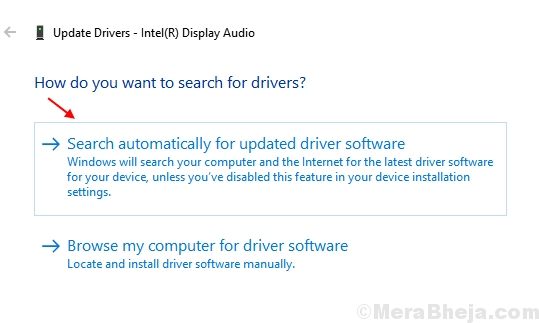 Right click and Update the drivers One by one By choosing Update Driver. 9. Choose Search Automatically for Updated Driver Software. 10. Follow On screen Instructions. 11. Once the process Completes, Just Restart Your Computer.